This HUGE guy bit me on the toe this morning. I must have stepped on his leg. 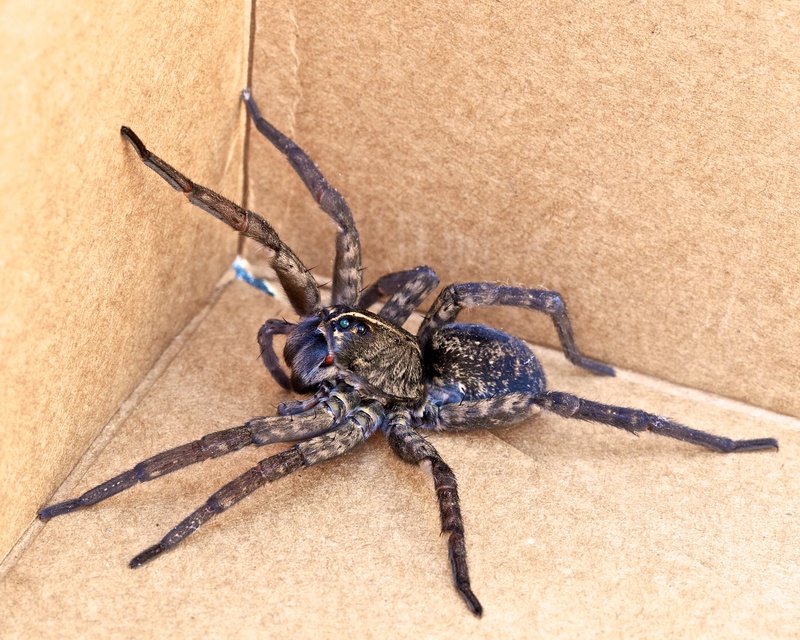 Luckily, the Wolf Spider bite is not particularly dangerous.